The Park Pro King Plate BBQ is suitable for custom brick in and built in barbeque installations or alternatively can be combined with one of our pre-fabricated cabinets for a ready-made option. 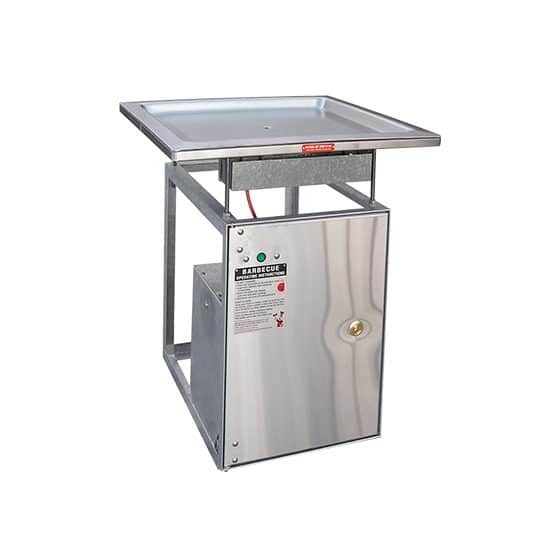 Fitted with an automatic timer so the barbeque will switch off after a set period of time, the unit also has a handy green light to indicate the hot plate is operating and a generous stainless steel plate size with a cooking area of 680mm x 590mm. The Park Pro King Plate BBQ comes in LPG, natural gas or 6KW electric and standard with push-button ignition. Key or coin operated ignition is available as an option. Why not take a look at the full features of this versatile brick in BBQ style hotplate and get in touch today for a free quote.